This condominum is located at 388 Boush Street at the corner of Boush and Freemason Street in Downtown Norfolk. 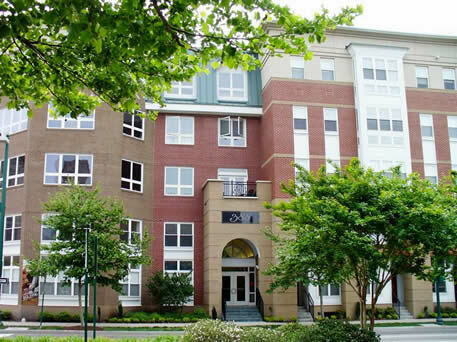 It is within walking distance to MacArthur Center, Nauticus, and other Norfolk attractions and is in close proximity to I-264 and I-464. This four-story brick building is wrapped around the exterior of the Boush Street garage. GE range with self-cleaning oven, refrigerator, dishwasher, and built-in microwave. Tenants are responsible for payment of a $75.00 move-in/move-out fee to “388 Boush Street, A Condominium” due at the lease signing. Residential parking is available through the City of Norfolk.